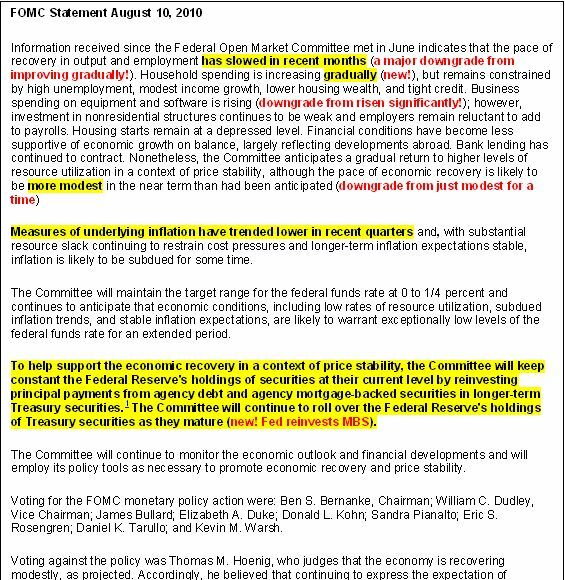 After the FOMC announcement yesterday, I posted this comparison of the FOMC statement on FX360.com. I am posting it again in case you want to understand exactly what parts of the statement has been changed. EUR/USD did not follow through on its post FOMC rally is now trading below 1.30. That is the problem with statistical studies, they can right over the long term, but just not the month we are trading!